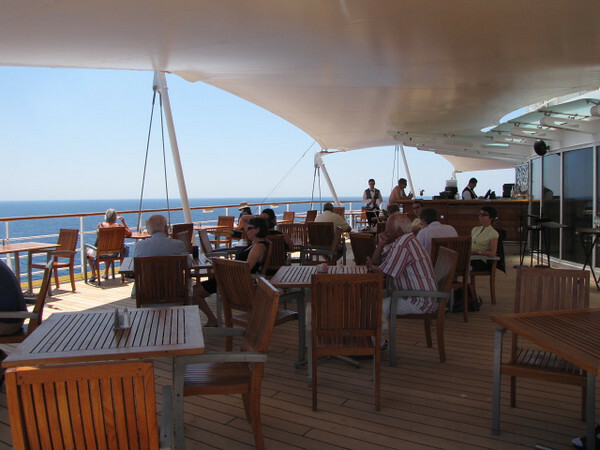 The “Sunset Bar”, out the back door of the Buffett area on Deck 11, is a great place to enjoy Breakfast, Lunch, Dinner, a snack/drink, etc while watching the Ocean glide on by... Beautiful!! And it’s called the “Sunset” bar for good reason... make sure to experience one out here! !